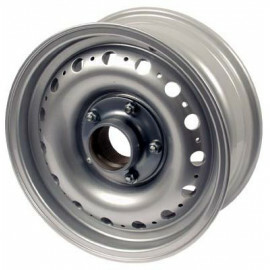 this bolt-on wheel fits front and rear axle without body modification and can be used with tubeless tyres. 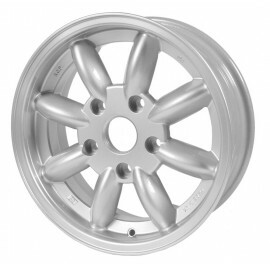 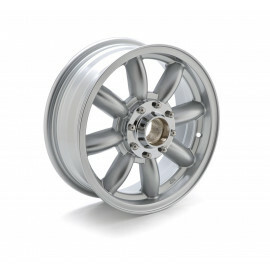 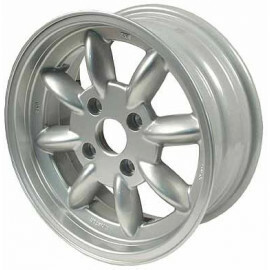 • rim size: 5.5J x 15"
silver painted 8 spoke aluminium wheel in a timeless classic design. 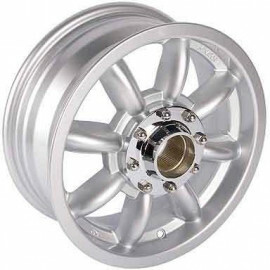 • rim size: 5.5J x 14"
• rim size: 6.0J x 14"